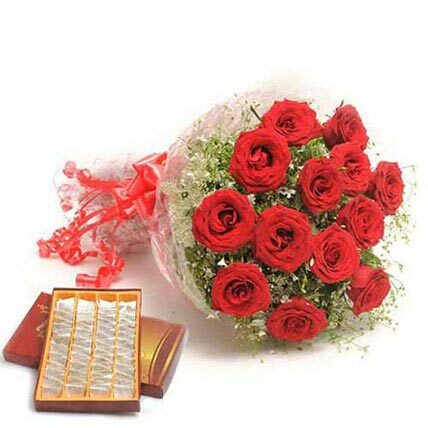 A bunch of 12 beautiful red roses packed in a cellophane with a red ribbon. 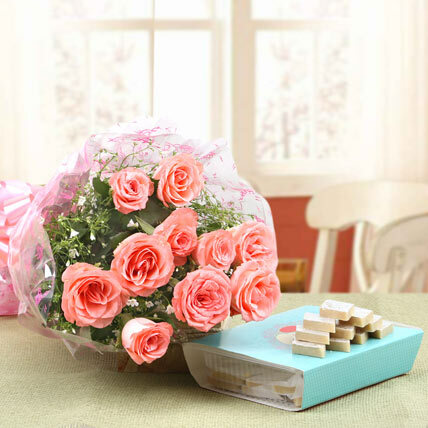 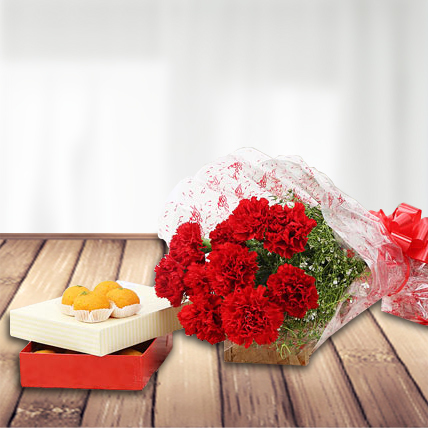 This ensures that you are able to bring a warm smile on your sweetheart`s face on a special occasion. 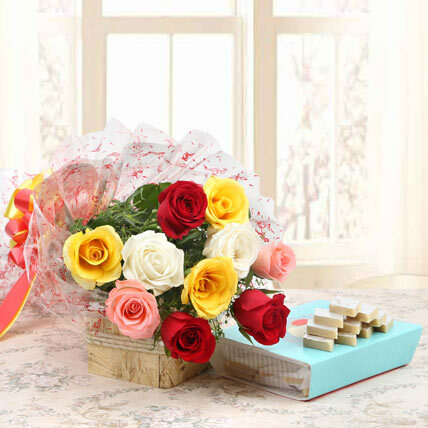 Along with this, 500 gm Kaju Katli to celebrate the occasion with sweets. 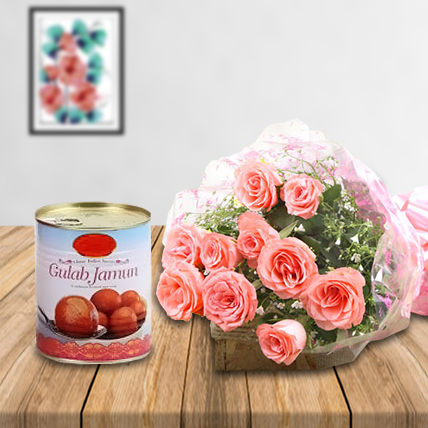 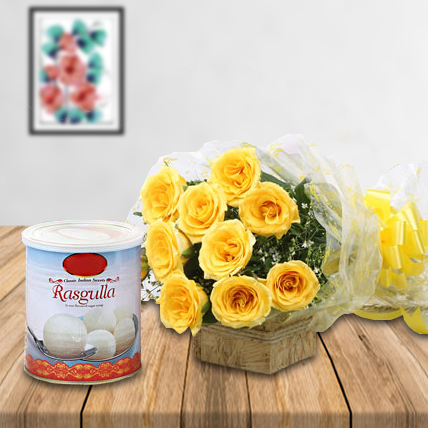 A perfect combo to show love and affection.